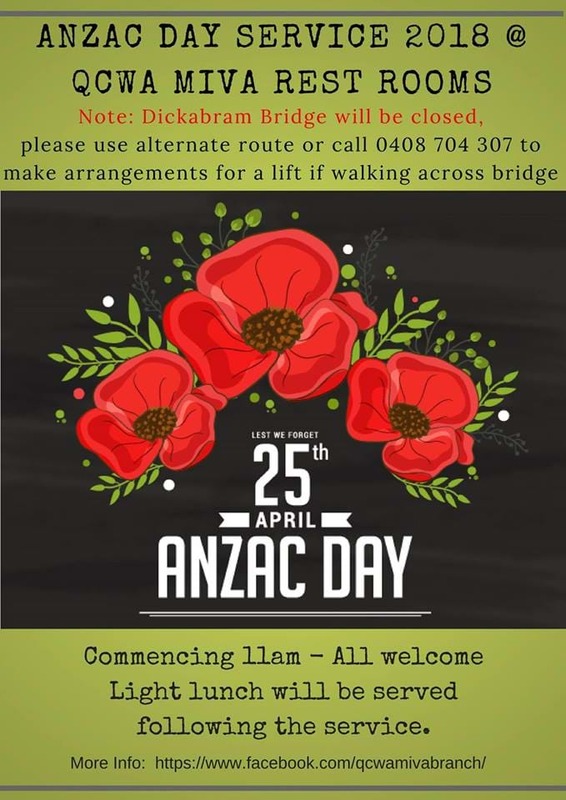 Head to the Miva Branch of the QCWA for their ANZAC Day service, commencing at 11am - everyone is welcome. The Guest Speaker on the day will be Mr Kerry Ship, who recently travelled to Israel to attend the re-enactment of the Australian Light Horse charge of Beersheba. Following the service, a light luncheon will be available. Please note: Dickabram Bridge is closed for repairs. You're advised to come via Woolooga Road (there is a walking path on the bridge). There will be a shuttle bus service from the bridge to the Miva Rest Rooms if needed. To request this service, phone 0408 704 307. 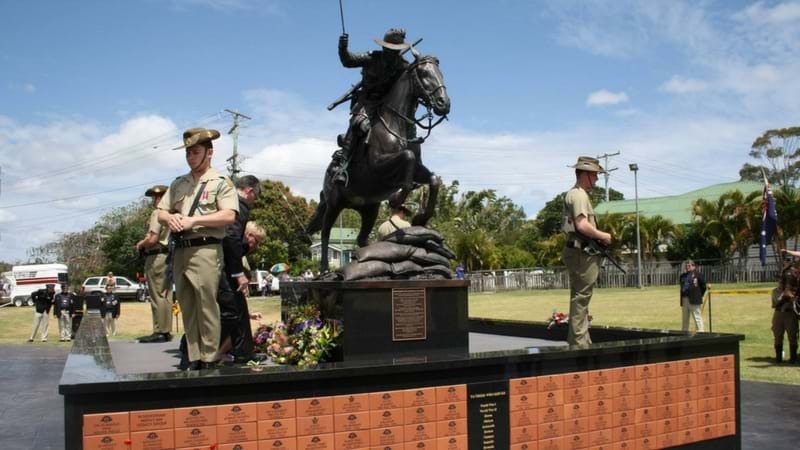 Hervey Bay RSL Sub-Brand will be hosting ANZAC Day services and marches this Wednesday, April 25th. There will be a Dawn Service at Freedom Park, commencing at 5:30am. The Main March will commence with a parade from the RSL car park at 8:45am and will step off at 9:15am. The Main Service will be held at Freedom Park at 9:45am with a buffet served for members from 11:30am-12:45pm. For more information and breakfast & lunch pricing, head to their website.